If you’ve ever wanted to study Calvinism – without the misrepresentations and emotional baggage that often comes with the discussion – these two books are perfect. Written from a scholarly standpoint, they examine the main tenants of Calvinism and compare them to scripture. Don’t simply take someone’s word for it, study yourself with an open Bible and a prayer spirit. Calvinist theology has been debated and promoted for centuries. But is it a theology that should last? Roger Olson suggests that Calvinism, also commonly known as Reformed theology, holds an unwarranted place in our list of accepted theologies. In Against Calvinism, readers will find scholarly arguments explaining why Calvinist theology is incorrect and how it affects God’s reputation. Olson draws on a variety of sources, including Scripture, reason, tradition, and experience, to support his critique of Calvinism and the more historically rich, biblically faithful alternative theologies he proposes. Addressing what many evangelical Christians are concerned about today—so-called ‘new Calvinism, ‘ a movement embraced by a generation labeled as ‘young, restless, Reformed’ —Against Calvinism is the only book of its kind to offer objections from a non-Calvinist perspective to the current wave of Calvinism among Christian youth. As a companion to Michael Horton’s For Calvinism, readers will be able to compare contrasting perspectives and form their own opinions on the merits and weaknesses of Calvinism. He is also coauthor of 20th-Century Theology: God & the World in a Transitional Age and Who Needs Theology? An Invitation to the Study of God (both with Stanley J. Grenz, InterVarsity Press), and of The Trinity (with Christopher A. Hall, Eerdmans). Publisher’s Description: The system of theology known as Calvinism has been immensely influential for the past five hundred years, but it is often encountered negatively as a fatalistic belief system that confines human freedom and renders human action and choice irrelevant. Taking us beyond the caricatures, Michael Horton invites us to explore the teachings of Calvinism, also commonly known as Reformed theology, by showing us how it is biblical and God-centered, leading us to live our lives for the glory of God. 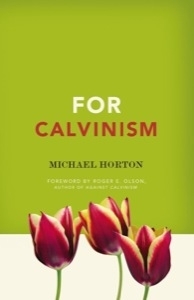 Horton explores the historical roots of Calvinism, walking readers through the distinctive known as the ‘Five Points, ‘ and encouraging us to consider its rich resources for faith and practice in the 21st Century. 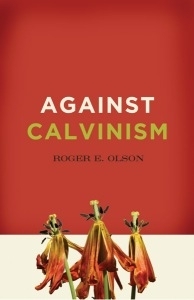 As a companion to Roger Olson’s Against Calvinism, readers will be able to compare contrasting perspectives and form their own opinions on the merits and weaknesses of Calvinism. Michael S. Horton (Ph.D., University of Coventry and Wycliffe Hall, Oxford) is the J. Gresham Machen Professor of Systematic Theology and Apologetics at Westminster Seminary California. He is the president of White Horse Media, for which he co-hosts the White Horse Inn, a nationally syndicated, weekly radio talk-show exploring issues of Reformation theology in American Christianity. The editor-in-chief of Modern Reformation magazine, Horton is the author of more than 20 publications. His most recent book, People and Place: A Covenant Ecclesiology was awarded the 2009 Christianity Today Book Award for Theology and Ethics.